Description: Four Books: 1. pageant of the Gun, H.L. Peterson, @ 1967, 352 pages 2. Treasury of the Gun, H.L. Peterson, @ 1962, 249 pages. 3. Guns and Gun Collecting, bailey, Hogg, Boothroyd & Wilkinson, @1972, 128 pages 4. 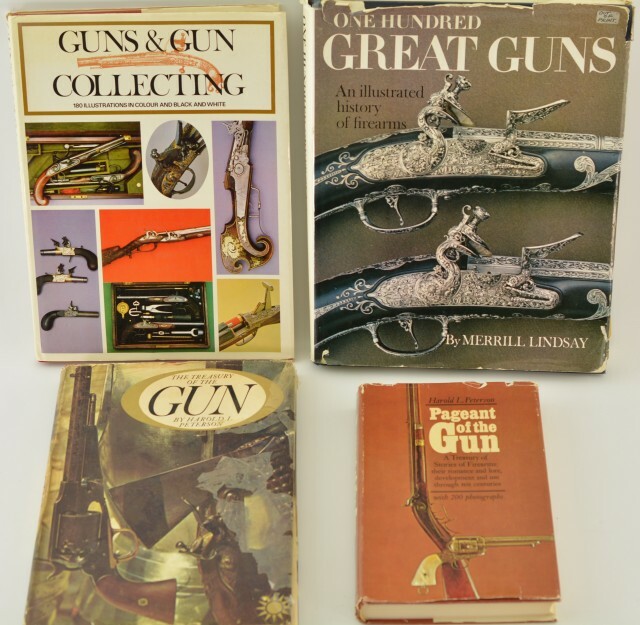 One hundred Great Guns, M. Lindsay, @ 1967, 377 pages. These are used books with tears in jackets, light wear and soiling and former owners names on front plates. Classic books loaded with great photos.